Alright fans, this is what you all have been waiting for. I have always been a huge mma fan and am a big admirer of almost all of the mma organizations in the world. I am one of the biggest WEC (World of Extreme Cage Fighting) fans as well, and still miss it now a days even though half of the fighters are fighting for the UFC. A lot of my fans that know me, know that I’m a huge WEC fan and still watch old fights all the time. My fans want to hear who I think the best WEC fighters of all time are, but I’m going to do you guys one better. We all know that the WEC built their brand on the back of Urijah Faber. He will always be the former face of the WEC, but I don’t want to talk about the best of the WEC, I want to talk about the top fighters in the UFC that came from the WEC during the merger. I think naming the best that the WEC had, and naming who has done the best since the brands have been combined, are in two different leagues. So without further ado, these are my top 10 fighters who came from the WEC, who I think have made the biggest impact in the UFC. Ben Henderson lives up to his nickname of “Smooth” and has been nothing but flawless since joining the UFC. There is a reason he is number one on my list. Henderson entered the WEC 7-1 and went 5-1 under their promotion with his only loss coming by the hands of Anthony Pettis at the last/final WEC event (WEC 53). Even though he lost, Henderson and Pettis were voted in as the Fight Of The Year. One of the best fights in WEC history (in my opinion) has to be for the lightweight Interim championship against Donald “Cowboy” Cerrone. That fight made my jaw drop at times and gave me so much respect for both fighters and the sport of mma. Henderson then went on to become the true champ by defeating Jamie Varner for the WEC lightweight title with an awesome standing guillotine choke. 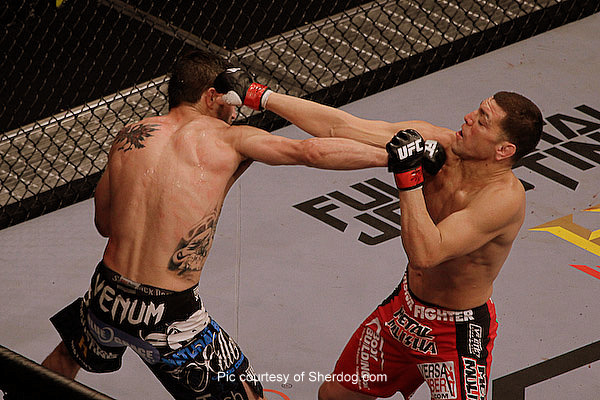 Henderson entered the UFC on a title loss and some believed he was a one trick pony. We all know that isn’t the case. Bendo is 5-0 in the UFC defeating Frankie Edgar twice. He also has the sixth best all time UFC takedown accuracy (65%), and holds the current record for best statistical submission defense. There is no doubt in my mind that Ben Henderson is the best fighter in the UFC that came from the WEC. He will be defending his title against Nate Diaz in December on Fox. Key UFC Wins: Mark Bocek, Clay Guida, Jim Miller, Frankie Edgar (twice) won the lightweight title and successfully defended it. The boys in blue (WEC’s trademark color) were scrappers to say the least. Watch the video below to see some of their greatest moments as winners and losers. Video courtesy of YouTube uploader ddevilMMA and content by the WEC, a Zuffa LLC production. Chan Sun Jung, Anthony Pettis, Ricardo Lamas, Brad Pickett, Brian Stann, Cub Swanson, Diego Nunes, Rani Yahya, Dustin Poirier, Brian Bowles, Erik Koch, Michael McDonald. Urijah Faber, Miguel Torres, Mark Hominick, Josh Grispi, Damacio Page, Shane Roller, Antonio Banuelos, Charlie Valencia, Kamal Shalorus, Leonard Garcia, Eddie Wineland, Steve Cantwell, Scott Jorgensen, Mike Brown, Manny Gamburyan. WEC 1- Leonard Garcia defeated Victor Estrada via KO (head kick) at 0:54 of round 2. Garcia got me hooked on the WEC. WEC 12- Doug Marshall defeated Carlos Garcia via KO at 2:46 of round 1. WEC 41- This was Brown vs Faber II but what really stood out for me was three other fights. Anthony Pettis defeated Mike Campbell via submission (triangle choke) at 1:49 of round 1. Donald Cerrone defeated James Krause via submission (rear naked choke) at 4:38 of round 1. 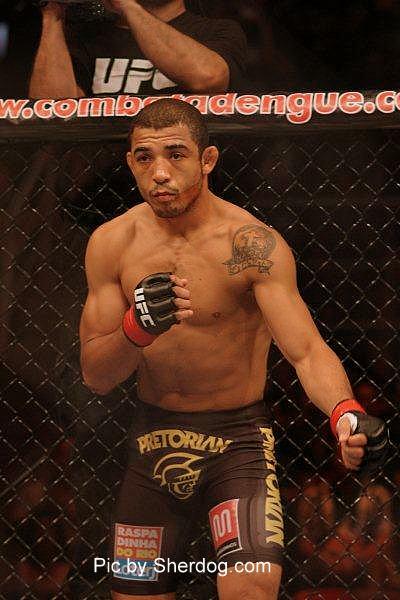 And the best knock out ever-Jose Aldo defeated Cub Swanson via KO (double flying knee and punches) at 0:08 of round 1. WEC 43- Ben Henderson defeated Donald Cerrone via unanimous decision (48–47, 48–47, 48–47) to become the WEC Interim Lightweight Champion and still is my favorite WEC fight of all time. WEC 48- Jose Aldo defeated Urijah Faber via unanimous decision (49–45, 49–45, 50–45) to retain the WEC Featherweight Championship, but the best was Leonard Garcia defeated Chan Sun Jung via split decision (29–28, 28–29, 29–28) and it was FOTN and Fight of the year in 2010. WEC 51- George Roop defeated Chan Sun Jung via KO (head kick) at 1:30 of round 2 and Donald Cerrone defeated Jamie Varner via unanimous decision (30–27, 30–27, 30–27) in an awesome fight. WEC 53- Anthony Pettis defeated Ben Henderson via unanimous decision (48-47, 48-47, 49-46) to become the new and final WEC Lightweight champion and I’m sure we all can’t forget the awesome Pettis kick off of the cage. If you missed it, youtube it, you won’t be sorry.